There’s a large enhanced risk today for parts of southeastern New Mexico, and west central/southwest Texas. The threat then shifts eastward tomorrow, and Thursday into the MS River Valley, Southeast, and Ohio Valley with a slight risk. Latest SPC Day 1 outlook now has a 10% risk for tornadoes. Added a 10% TOR area with the new update. Not surprised given some of the forecast soundings with very favorable wind profiles. They also added 45% wind. If we do see tornadoes today, will they mostly be weak or could we see a couple strong ones? Local office is backing off the tornado threat for the 35 corridor. Said that the dynamics are better out west and the anticipated line of storms should arrive at dawn, the most stable time of day. 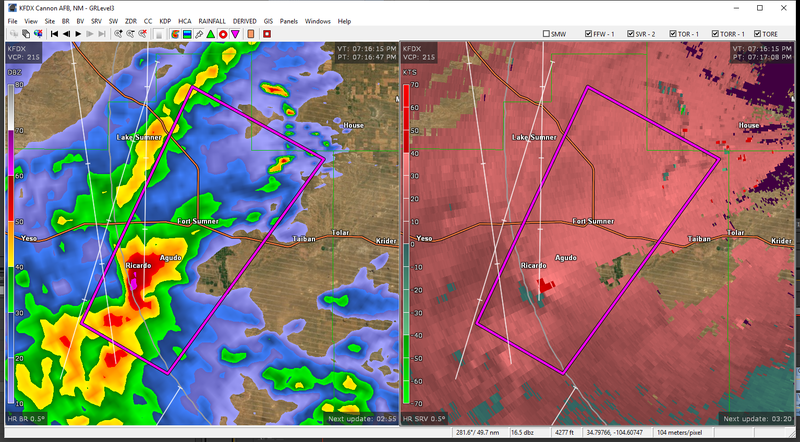 Tornado warning just north of the NM/TX border (looks like the middle of nowhere thankfully). Of course the radar coverage in that area is terrible. IDK what is up with radar data so far this year. There was the Radarscope outage on Saturday, coupled with warnings from Shreveport not showing up on GR Level 3. Now today, warning polygons seem to still take an inordinately long time to display for me on GR Level 3, although they eventually do show up. Whatever it is, hope it all gets resolved before prime chase season. This thing could not be more perfectly located to make it impossible to see with the radar. It's out of range of both of the radars in southeast NM and El Paso, and just barely within range of Odessa. Yeah, although MAF is only seeing the midlevel meso at 13kft, the velocity signature there is consistent with past significant (EF3+) tornadic storms I've observed on radar at that distance. Supercell E of Loving, NM showing decent structure as it races to the NE. Hard to say what's out there to hit, but almost looks like there could be a TDS associated with this newly tornado-warned cell SW of Fort Sumner, NM. 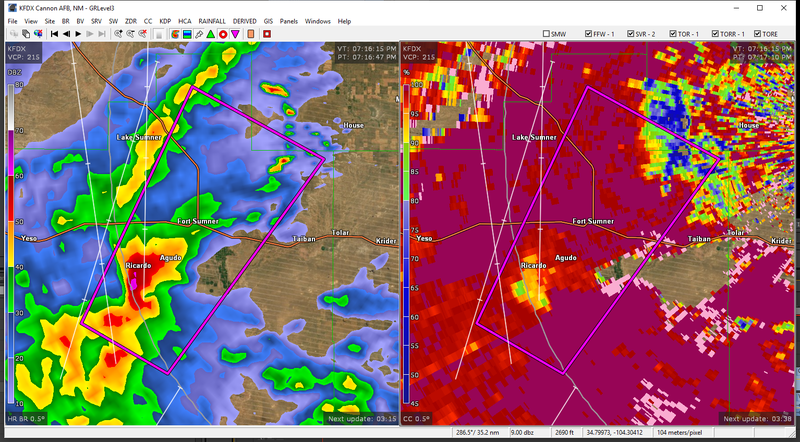 Cell NE of Pecos, TX looking mighty interesting. Decent rotation, discrete and starting to hook. Warning just got issued for that storm. Looks like multiple areas of rotation on that Pecos storm. Moreof just radar trying to decipher velocity, happens from time to time.